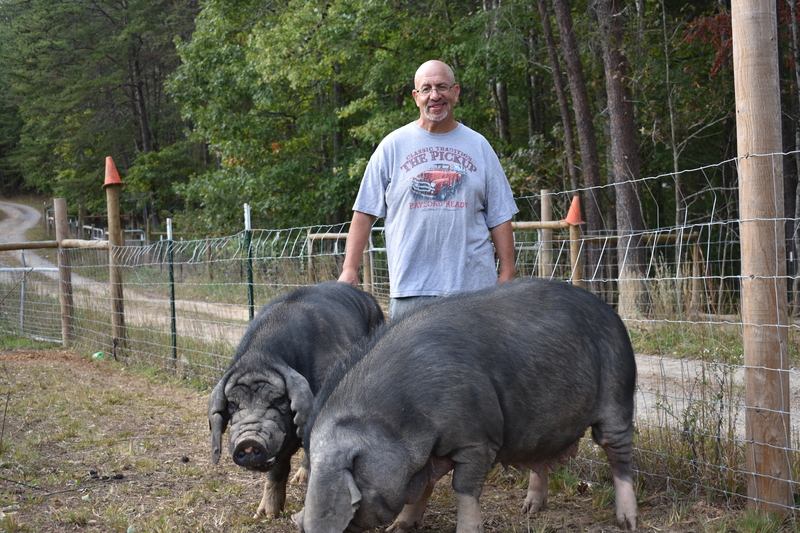 God’s Blessing Farm LLC in Niota Tennessee is focused on the effort to preserve the Meishan Pig in North America. 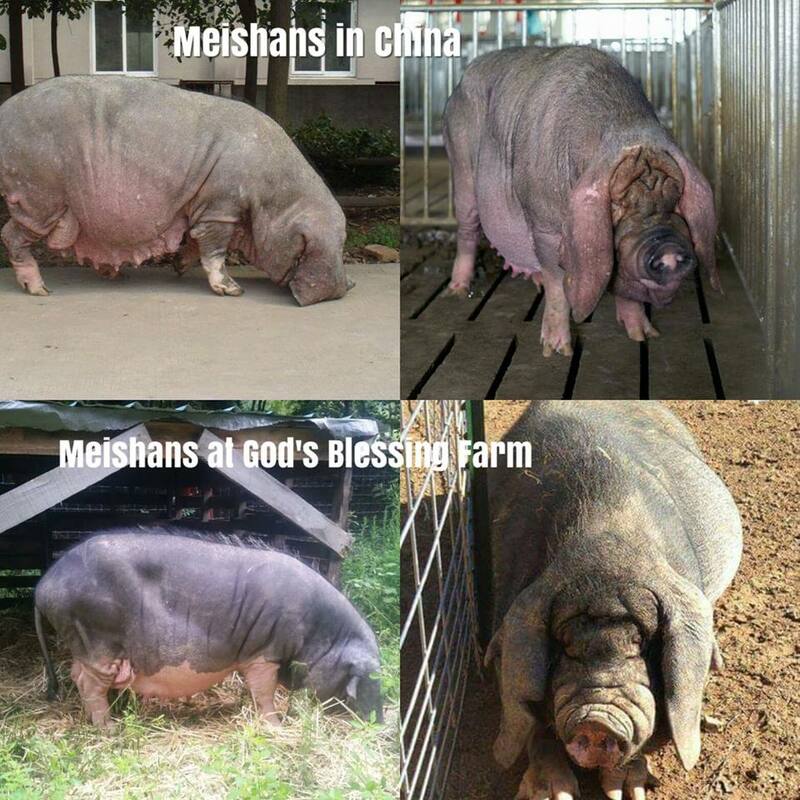 Because of this Gods Blessing Farm maintains the most genetically diverse herd of Meishan Pigs outside of China. Also because of this breeders in over 20 different states have selected our genetics as the basis for their breeding stock. What is a Meishan Pig? Meishan Pigs are amazing animals. Meishan Pigs are one of the oldest heritage breeds of swine in the world. They originate in the Taihu Region of China. Swine have been domesticated in this region for over 5000 years.Because Meishan Pigs are docile and sedentary they have one of the lowest environmental impacts on pastures of any breed of swine. Meishan Pigs are hyper productive by nature. Litters can often exceed 20 Meishan piglets. This allows breeders to raise more piglets per breeding pair. Because of this costs to maintain breeding stock are lower. In 1989 the USDA negotiated the importation of 99 Meishan Pigs from China..The Meishan Pig has been the focus of swine research in the United States for almost 27 years. Meishan pigs were isolated in three separate research facilities unavailable to the average homesteader or farmer for that entire period. Gods Blessing Farm was able to obtain the last research herds of Meishan Pigs from the USDA and the University of Illinois in 2016. As a result these amazing pigs are now available for your farm. 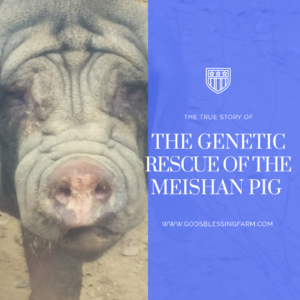 The future of the Meishan breed in North America now lies in the hands of independent breeders. 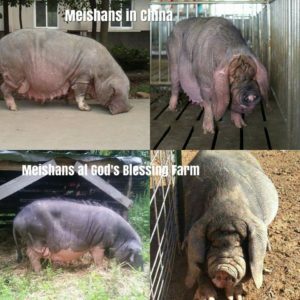 At Gods Blessing Farm we believe the medium size, reasonable growth rate , prolificacy and incredibly flavorful and tender meat of the Meishan Pig make it the ideal swine breed for the small land holder. We are proud to raise and offer the most genetically diverse Meishan Pigs in the North America. These are registered Foundation Pure lines as recognized by the American Meishan Breeders Association. These are documented pure Meishans. You can read about our journey to Meishan Hogs by clicking here. 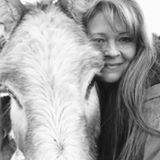 If you would like to watch three short video presentations on this amazing breed click here. If you have done your research and are looking to find whether we have registered Meishan Pigs for sale click here. The preservation of this incredible breed of swine has become the central focus of our farm.We invite you to contact us and learn more about the breed and the effort to preserve it.